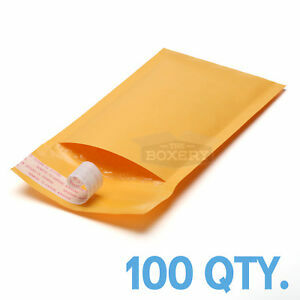 100 #000 4x8 Kraft Paper Bubble Padded Envelopes Mailers Shipping Case 4"x8"
50 #000 4x8 Kraft Paper Bubble Padded Envelopes Mailers Shipping Case 4"x8"
250 #00 5x10 Kraft Bubble Mailers Padded Envelopes Bags 5" x 10"
200 #000 4x8 Poly Bubble Padded Envelopes Mailers Shipping Case 4"x8"
There are 8,117 items available. Please enter a number less than or equal to 8,117. The batch that I received was not sealed evenly. One side has a wider seam than the other. Also, the bubbles aren't smooth at the top so some of my items are difficult to insert into the envelope. These do not seem like absolute top quality but still functional and will get the job done for the price. 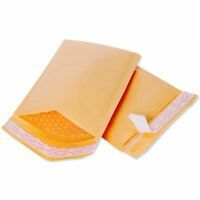 Excellent bubble wrap lined envelopes easy to use and are of proper size for the application I am using. A good buy at the right price, and when I run out I'll buy more. Poor quality, rip easily and really soft paper material which provide no protection of item inside. 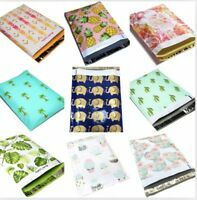 Poor quality, rip easily and really soft paper material which provide no protection of item inside. I will probably throw it away rather than risking damaging item to be shipped. Quailty at a great price. 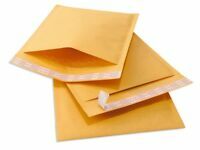 These envelops are just as good as those purchased at the Big Box Office Supply stores and much much less expensive.